High energy and food bills were key factors in keeping inflation at a continued high last month. According to The Office for National Statistics, which use the Consumer Price Index to measure predictions, the cost of living stuck at 2.7% for the third month in a row in December. The rate was offset somewhat by lower petrol costs, with prices falling by 2.8p per litre between the months of November and December. However, some economists still believe inflation could reach three per cent by the summer. 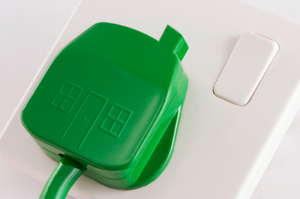 Policymakers are particularly concerned about the energy price rises as they are currently rising at a much higher level than wages - leaving many families struggling to find the extra cash to pay the bills. Many of the UK's top energy firms, including five of the 'Big Six' - all part of the Warm Home Discount Scheme that was brought in a couple of years back in order to assist the most needy in paying their bills - bumped up energy prices last year. Four of the companies hit customers with the higher bills starting last month, just in time for the festive period. The biggest of which was EDF Energy, which increased its energy bills by 10.8% on December 7. EDF's bill increase was closely followed by a nine per cent rise from SSE; although that increase came into effect in mid October. Npower also bumped up its gas bills by 8.8% and electricity bills by 9.1%, making the announcements in October, before they came into effect at the end of November. Scottish Power was close behind with a price bump across both energy sources of 8.7%, which came into effect last month, whereas British Gas put its prices up six per cent in November. In total, the various price hikes from the five firm's hit around 25m UK households. Completing the 'Big Six' energy price increases, E.On is set to rise their price 8.7% later this week.